I wish I had a nickel for every time a wait staff person lets me know that one of the specials of the day is ”brushetta.” I just bite my lower lip and then politely say: “You mean bruschetta?” Bruschetta (pronounced brew-SKEH-tah, not brew-SHEH-tah) is simply fried, grilled or toasted bread that has a number of possible toppings from chicken livers to chopped tomatoes. Farro (Fah-Row) is another classic example of bad pronunciation in restaurants claiming to be Italian. Farro is a nutritious wheat berry making a gourmet comeback and is a grain used in soups, stews and salads. But please don’t pronounce it like PHARAOH. You can find recipes using this grain on the web site as well. In the pasta realm, gnocchi (gnaw-key) is a tough one for many not familiar with this delicious dumpling usually made from potatoes. It is often referred to as "no-key" or "knock-key". And then of course there is espresso, known here as "ex-presso". 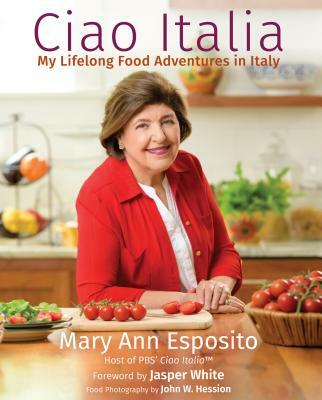 Fortunately everyone seems to know how to pronounce "Ciao" (chow). Barbara: Art and Barb Live in Italy! Thanks for posting about this! It's my husband's mission in life to teach the world how to correctly pronounce bruchetta. I always laugh when I hear people in restaurants order 'eyetalian' dressing.